So you hop on the web from various devices…..
Did you know that all of them point to you? Some way. Somehow. 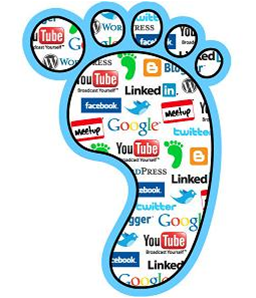 On the Internet, a “digital footprint” is a term that is used to describe the trail, traces or “footprints” that people leave when they are online. We are all accustomed to looking up all types of information online, but we must never forget that the internet is looking right back at us. This information may be transmitted online when you register for sites, email and add attachments, upload videos, digital images or any other form of transmission of information to include social media activity, personal website information and more. We must realize that when we consciously share this information, we are losing some degree of privacy. Almost all of the social media platforms, have incorporated a way for users to take control of their privacy. Facebook has proprietary privacy tips you can use, or you can visit Lifehacker.com and view the “Always Up-to-Date Guide to Managing Your Facebook Privacy”. However complete privacy is never a promise to the best way to safeguard yourself and assure that your digital footprint is clean is to walk a clean path. Some information should just remain private, so be sure you keep quiet about anything you don’t want others to find out indirectly about you such as usernames, aliases, passwords, last names, full names as usernames, pictures, addresses and other important information. Just try it and see what you find out or you can visit pipl.com and search for yourself using name, email, phone etc. 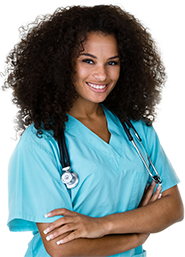 You may be amazed at who can see what about you. When you link your social media to new sites, you may not know right at that moment what you are giving access to. Every time you send a message, post, or picture, you are publishing it in the same way a news station does a news story. The internet never forgets. When you go to search the web, google records and uses every scrap of information to determine its user’s marketing demographics therefore if you are logged into your google account, every web page you visit and every time you visit YouTube or the like, this information is recorded and linked to you. Long story short, when you put it out there, you can never take it back so make sure you know that everything you post, tweet, comment,or like, is going down on your permanent record. EVERYTHING. So be very careful with your information and again make your digital footprint a professional one.